An adventure into LED lighting. 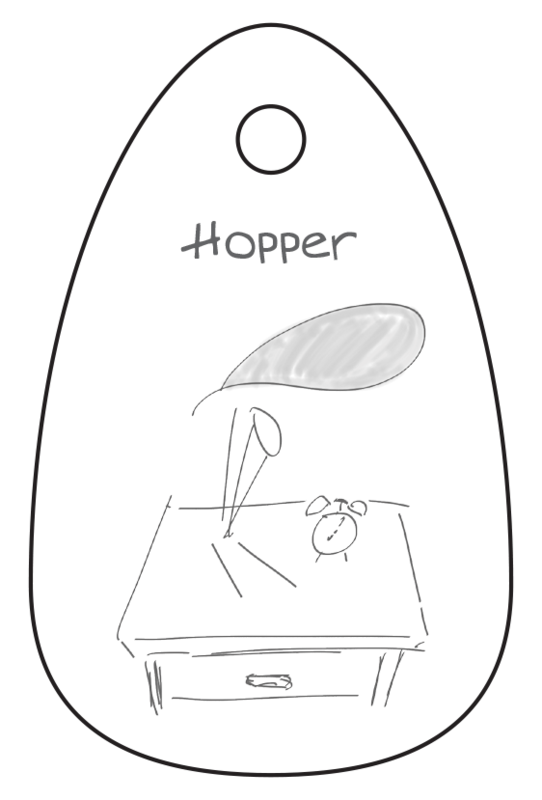 The Hopper was inspired by the bouncy Pixar's Luxo Jr. Lamp character. Light is reflected off of the leaf-like reflector, providing a soft ambient glow ideal for a night light. This exercise proved that more tests with LED light sources are needed before LED can replace incandescent light. This lamp was part of a two week project to design a line of lamps. An ADA compatible wall sconce, a table lamp and a pendant lamp. For my line of lamps, I decided to work around a relatively inexpensive LED disk that was available at our local lighting store. To start, we created a lighting matrix as a method of exploring lights that are already in existance. Starting with basic phenomenons that we know that lights up or reflect light and continue on with lamps that we found interesting. I wanted something fun for my table lamp and the first inspiration that came to mind was the Pixar Luxo Jr lamp. I also wanted create a lamp that used a reflector of some kind instead of direct lighting. 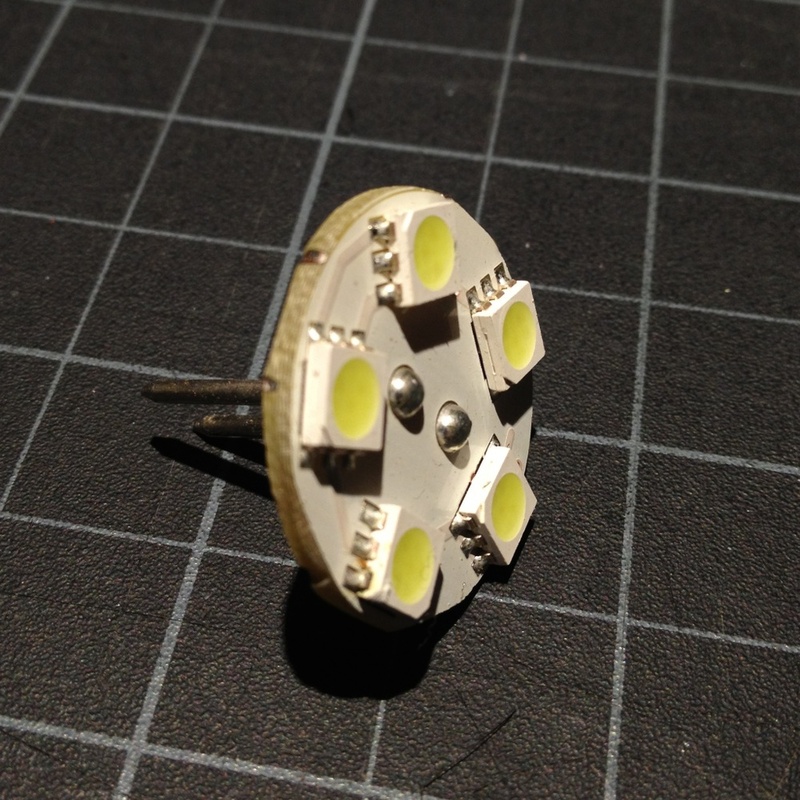 So, from a LED experimental kit that I had purchased years earlier ago the first prototype was born. The lighting kit's LED was high powered and required a heat sink to operate and that's why there's a black circular object below the light cone. It seemed strange, especially when coupled with the bent metal arm that was needed to hold the reflector. However, when lit, I really enjoyed seeing what almost seems like a leaf floating in mid air. When the table gets bumped, the lamp seemed to sway a little, which gave a slow "hopping" kind of gesture that was quite endearing. So, "the Hopper" was born. To solve the heat sink problem, I decided to go with a lower powered LED. The brightness did not seem to be an issue at the time but I learned later that these LEDs are really no match for the higher powered ones that require heat sinks. Since I liked the glowing leaf idea so much, I decided to make that the dominent form, followed by the light cone, and then the rest of the body. To minimize the form of the body, I decided to build it out of thin metal rods much like stage lighting structs. The socket for the the LED was made of plastic but was not very aestheticly pleasing, so I devised a holder out of a cork stopper that serendipitiously worked very well with the light cone... and voila!